Help protect your tractor while not in use. This is a ventilated tractor cover that helps avoid condensation, designed for use with Countax's C and B series tractors built before 2014. It can fit over the machine with the powered grass collector attached. 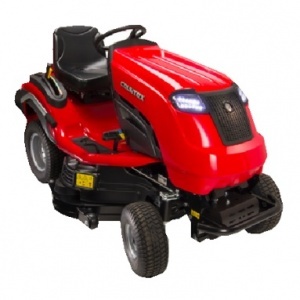 Powered by an impressive 500cc Briggs & Stratton engine and with the benefit of a 38 inch XRD deck, this machine is the perfect choice for gardens with around one acre of lawn. Compatible with a variety of accessories. 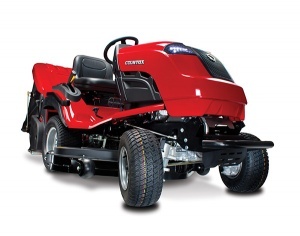 Countax's mid-range C60 garden tractor is a great choice for gardeners with a large area to mow, but who don't want to compromise on the quality of finish. Supplied complete with a 42 inch XRD deck. Ideal for working on large lawns of up to three acres, this garden tractor from Countax comes complete with a 48 inch XRD cutter deck, backed up by a robust Kawasaki engine. Part of Countax's four wheel drive tractor range, benefiting from unbeatable performance even on difficult terrain, this model comes complete with a 42 inch XRD deck. Thanks to a powerful Kawasaki engine and Countax's 4TRAC transmission system, this is a four-wheel drive tractor with high levels of control and performance, whatever the surface of your lawn is like.